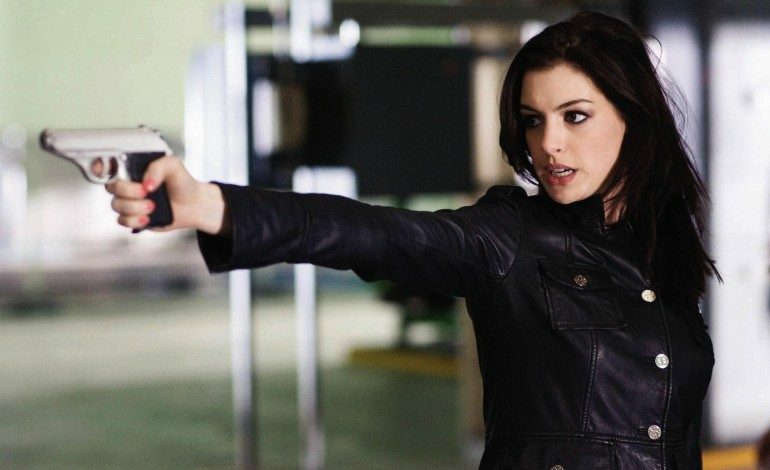 According to The Hollywood Reporter, Warner Bros. is in final negotiations to distribute the comedy The Shower which has Anne Hathaway attached to star. Jac Schaeffer’s script landed on last year’s Blacklist, an annual collection of the best unproduced screenplays in Hollywood. The comedy, in the vein of Seth Rogen and Evan Goldberg’s This is the End and Paul Feig’s Bridesmaids with Kristen Wiig, centers on a bridal shower that is suddenly subjected to an alien invasion. The party guests then rally to fight off the monstrous blood-sucking invaders. Hathaway’s husband Adam Shulman (Song One) is producing along with Schaeffer, Andrew Lauren (The Spectacular Now) and D.J. Gugenheim (Silent Night). Hathaway is currently filming another sci-fi action film, Colossal, co-starring Dan Stevens (Night at the Museum: Secret of the Tomb), Jason Sudeikis (Horrible Bosses 2), Austin Stowell (Whiplash) and Tim Blake Nelson (O Brother, Where Art Thou? ), about a woman who discovers that catastrophic events involving a giant lizard-like monster are somehow connected to the mental breakdown from which she’s suffering. Hathaway last appeared on screen in the fall hit comedy The Intern and will next be seen reprising her role of the White Queen in the upcoming Alice Through the Looking Glass.